Simon's first produced feature film as Screenwriter, co-created with Director Andy Morahan, is now complete and fielding distribution offers from around the world. Coming soon to a screen near you. Kush Khanna as Pavan in ‘Boogie Man’. This fun, colourful and music-filled coming-of-age comedy-drama is a multi-cultural feast and a celebration of modern-day London. It features Aston Merrygold, Amy Jackson, Nick Moran and Roshan Seth, with Ankush Khanna and Jerry-Jane Pears as its leading couple, Pavan and Stephanie. Jerry-Jane Pears as Stephanie in ‘Boogie Man’. Amy Jackson as Nimisha in ‘Boogie Man’. 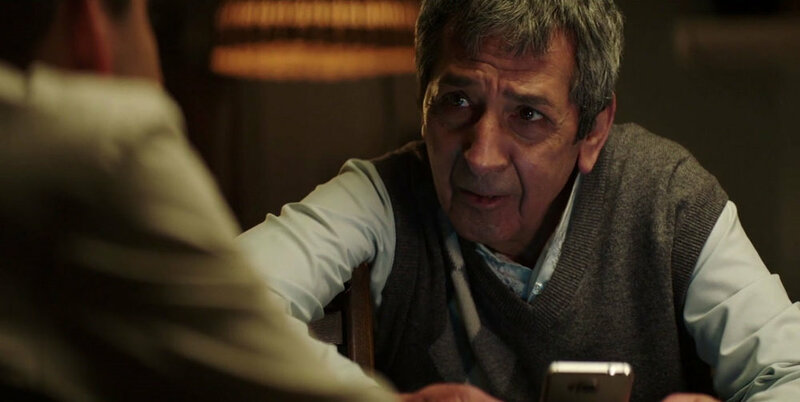 Roshan Seth as Rupesh in ‘Boogie Man’. Amy Jackson as Nimisha and Shobu Kapoor as Anandi in ‘Boogie Man’. Ramon Tikaram as Deepak in ‘Boogie Man’. Nick Moran as Gerry and Jerry-Jane Pears as Stephanie in ‘Boogie Man’.